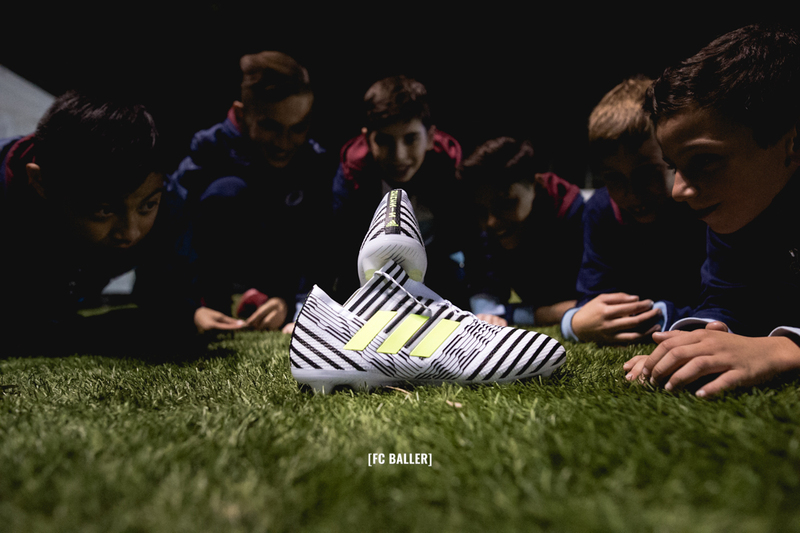 Adidas released their newest boot, the NEMEZIZ, last week. Roberto Firmino and Leo Messi were both spotted wearing the boot ahead of its launch. 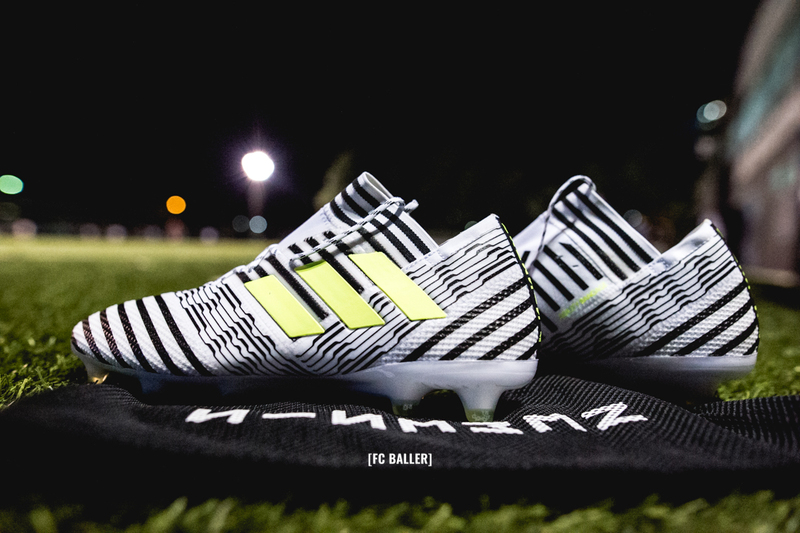 The NEMEZIZ is Adidas’ newest creation and replaces Messi’s signature boot. 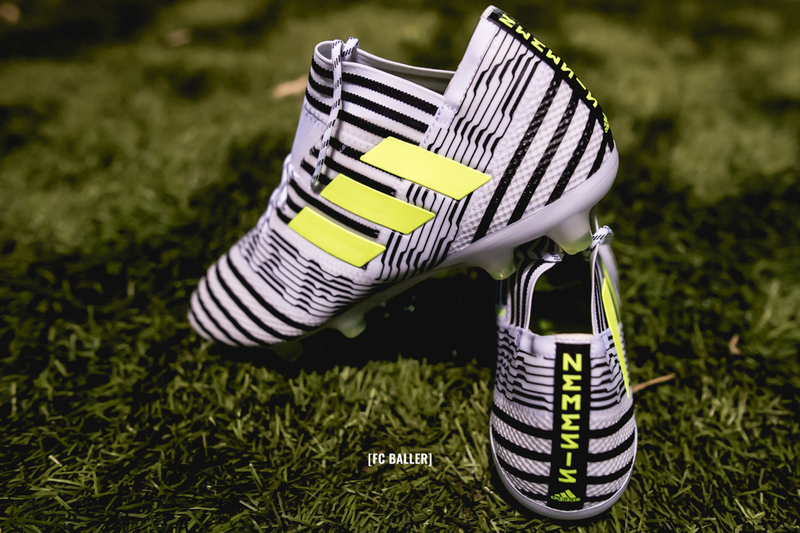 In terms of innovation, the NEMEZIZ presents a radical shift in design. 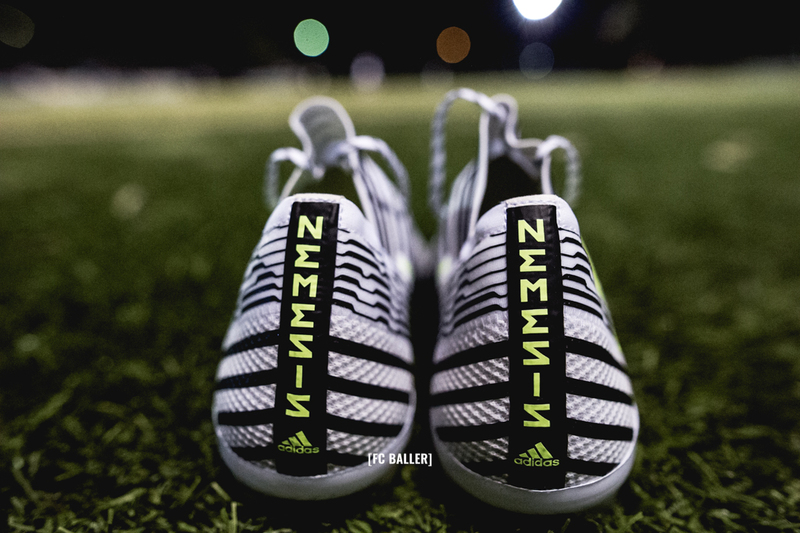 The innovation of laceless technology still seems fresh and now the NEMEZIZ is here to raise the bar. 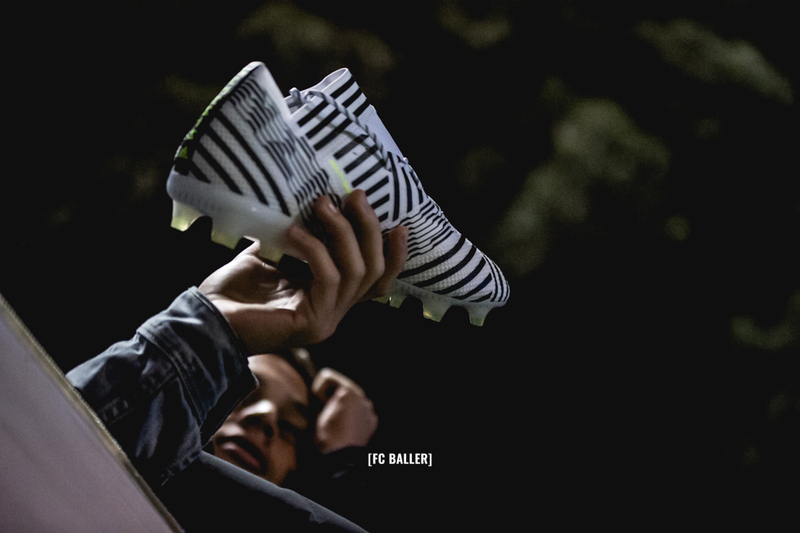 The NEMEZIZ was released in an almost classic colourway. It’s rare that Adidas release a boot in a classic colourway (classic being black) and there’s something appealing about a boot that harks back to tradition in colour. 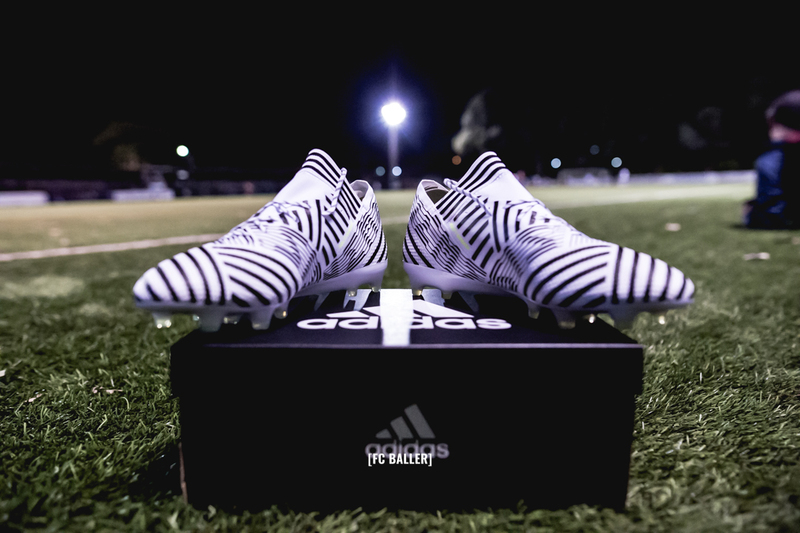 As they do with all of their boots, Adidas have spent the past two years creating the NEMEZIZ. The boot’s design and colourway is an absolute statement in today’s crowded boot market. 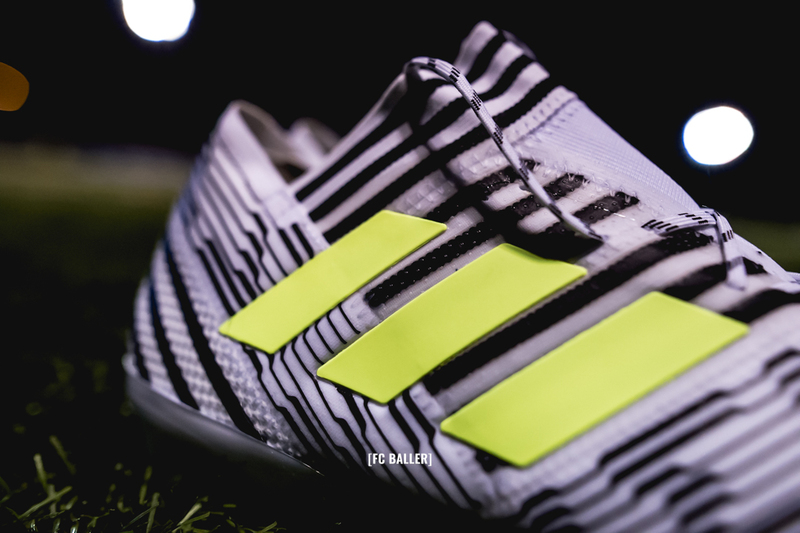 The idea for NEMEZIZ came from strapping and support tape. While Adidas has used tape as inspiration in other departments, never have they brought it across to such a degree in football. We all know players who’ve needed to strap their ankles for support and in essence this is what the boot aims to replicate. From a personal standpoint, I love the Adidas Predator. 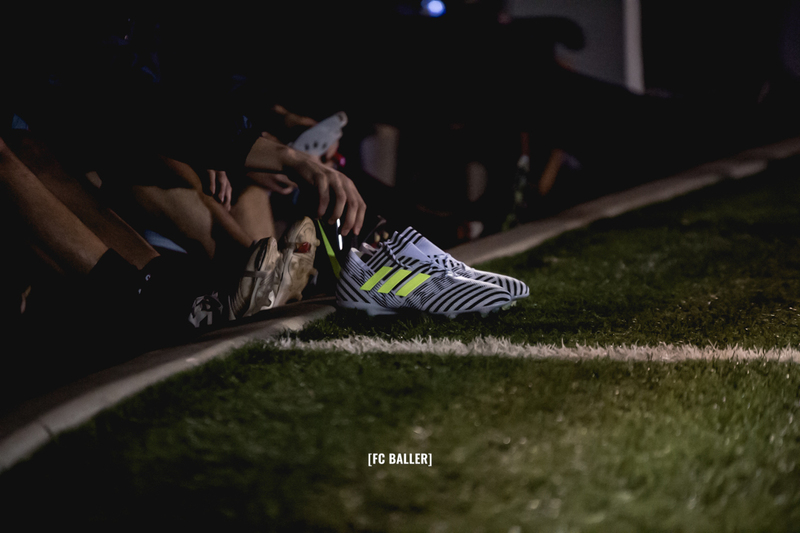 I was devastated when Adidas halted production on the boot and since then, I just haven’t been able to come around to Adidas’ new boot line-up. 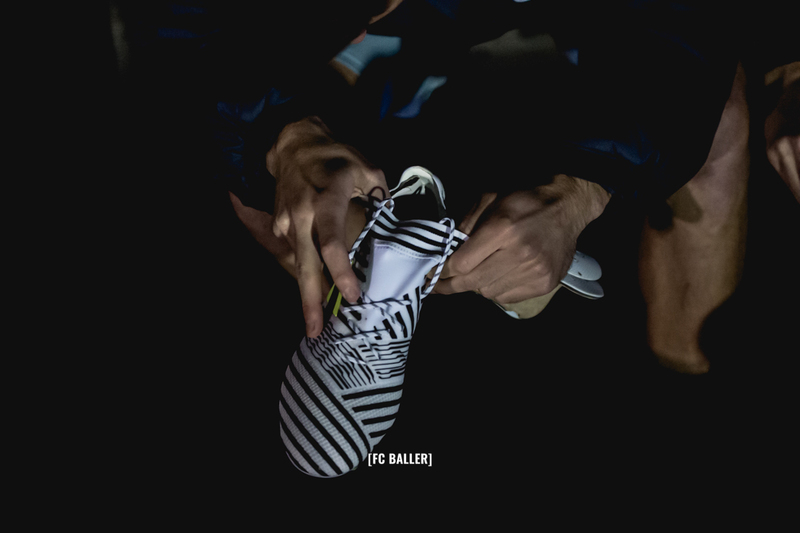 Thanks to the good folk at FC Baller and Adidas Australia, I got to test a pair of the NEMEZIZ 17.1 to see what all the fuss was about. Putting on the boots for the first time, they were very comfortable from the get-go. 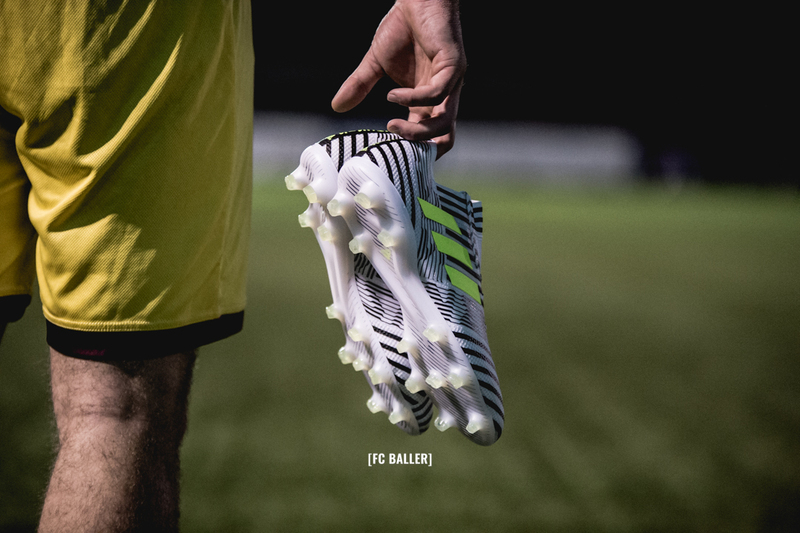 I know some players like to wear in boots during training before using them in a game but these boots feel great and easy to use immediately. They feel good, they’re comfortable and support the ankle well. The feel of the boot is thin. It’s this thinness that allows you a greater feel for the ball. 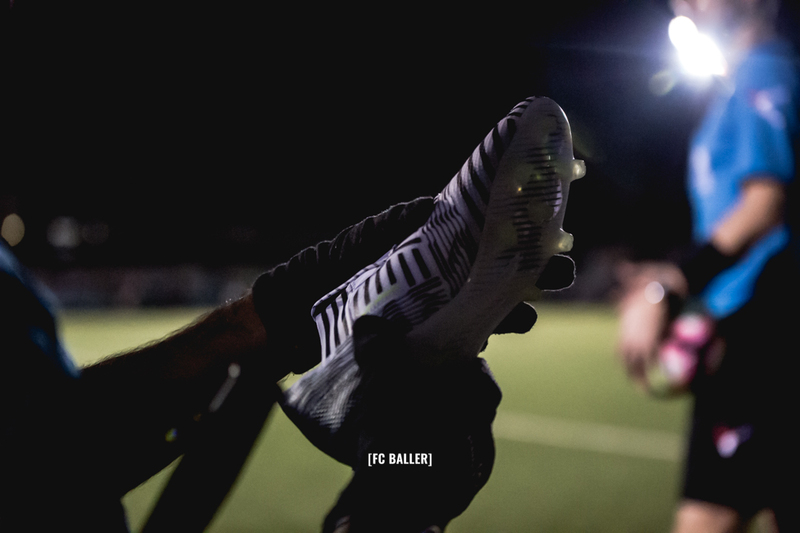 As a player, it’s what you strive for and this boot more than allows for that. Short and long passing felt good, as did free kicks and shots. 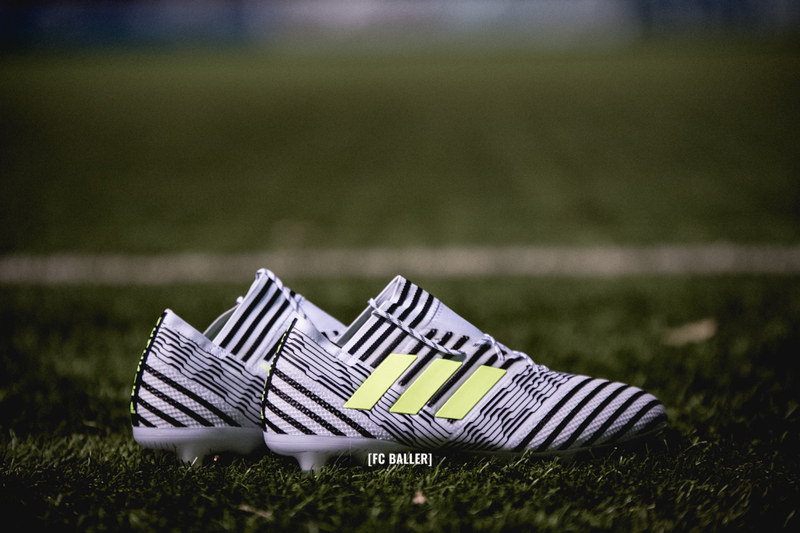 Adidas’ stud pattern has also evolved with this boot. There are some semi-circular and v-shaped studs on this boot. 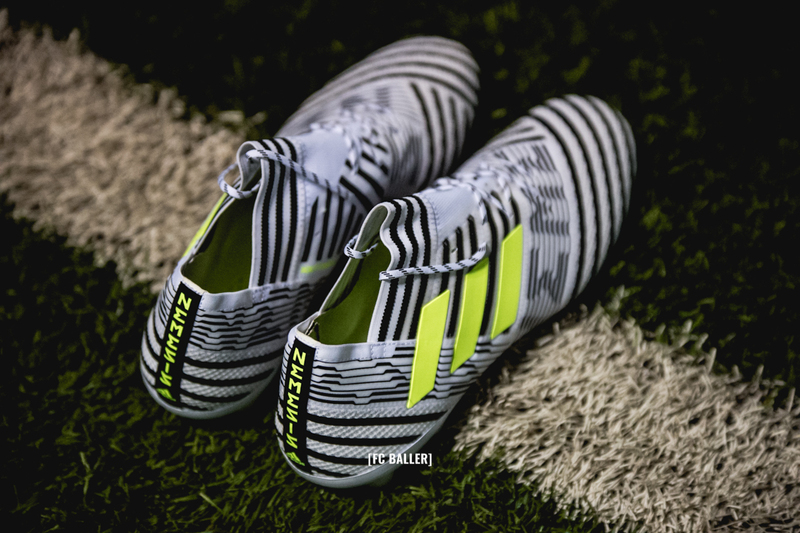 Created with agility in mind (NEMEZIZ 17+ 360 Agility insole says “Unlock Agility), this stud pattern definitely helps when you need to turn quickly. The high collar and low heel of the boot shouldn’t raise concerns. In my use, it didn’t bother me at all and I felt comfortable knowing that any kick I made, there was no risk of the boot flying off. 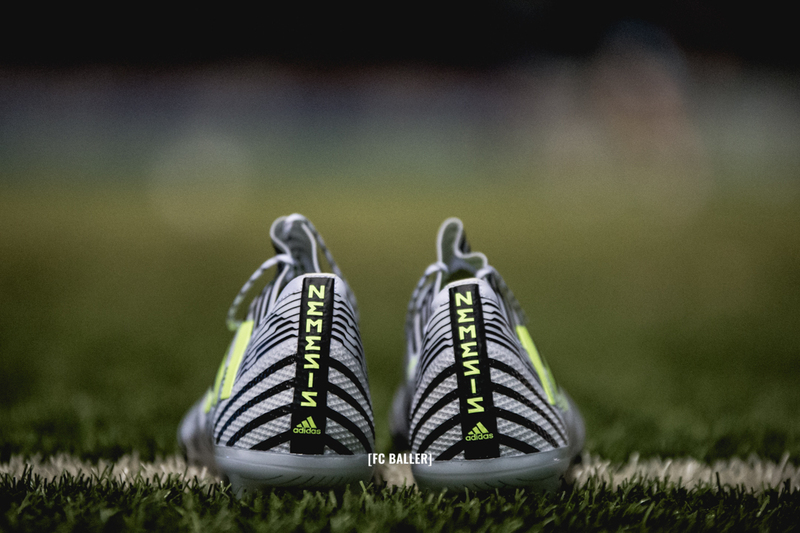 Having worn the ACE and X in recent months, I can comfortably say that the NEMEZIZ is the best boot in Adidas’ line-up. 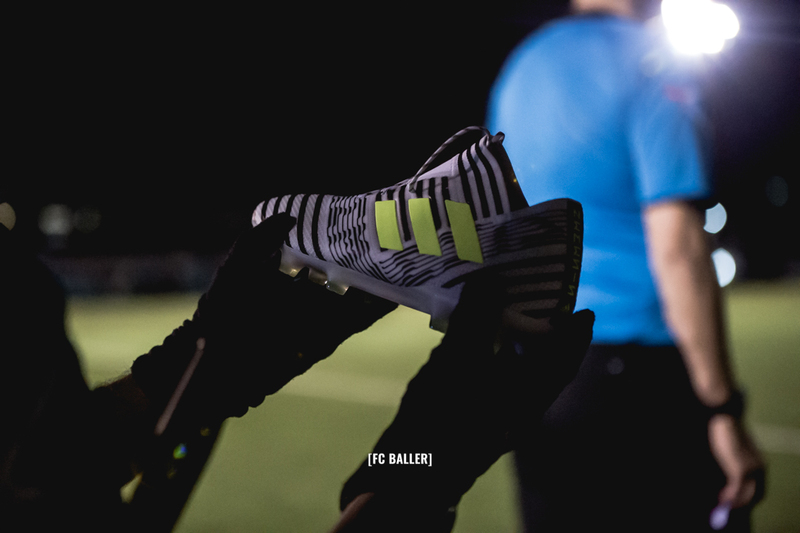 This boot is perfect for speedy, attacking and creative players. Some of my teammates even started a bidding war to get the boots off my feet after the game. Even the linesman was impressed.